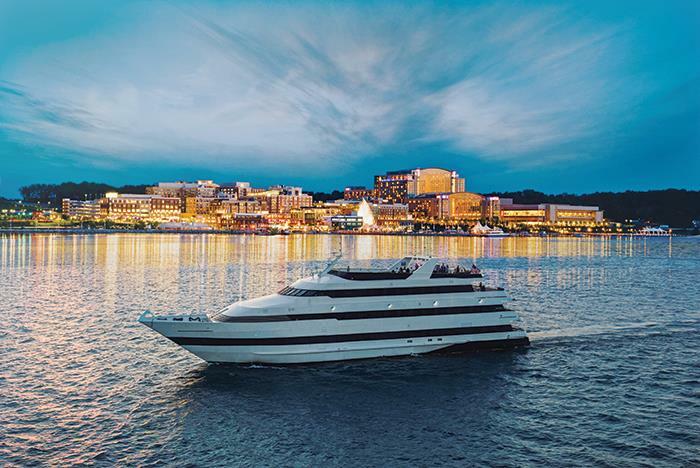 Hop aboard the Spirit of Washington and cruise around the Potomac for the lunch or dinner cruise of your choice. See Washington, DC’s historic landmarks including the Washington Monument, Old Town Alexandria, the National Harbor, and so much more. 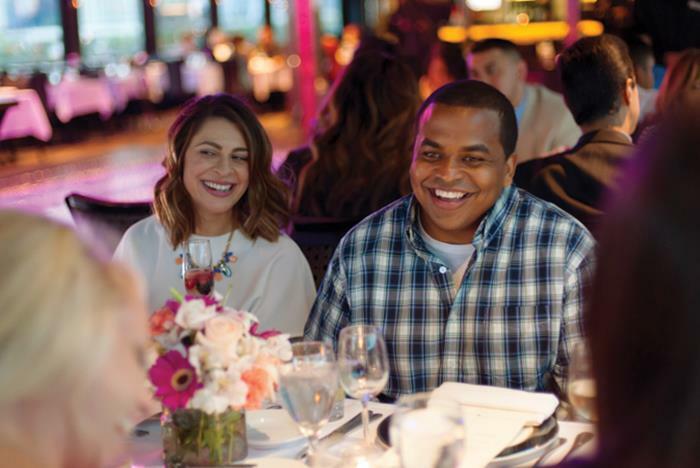 While listening to the expert narration from your knowledgeable tour guide, dine on world-class dishes from the ship’s buffet among other entertainment. Children are welcome aboard. Kids under 3 cruise for free. 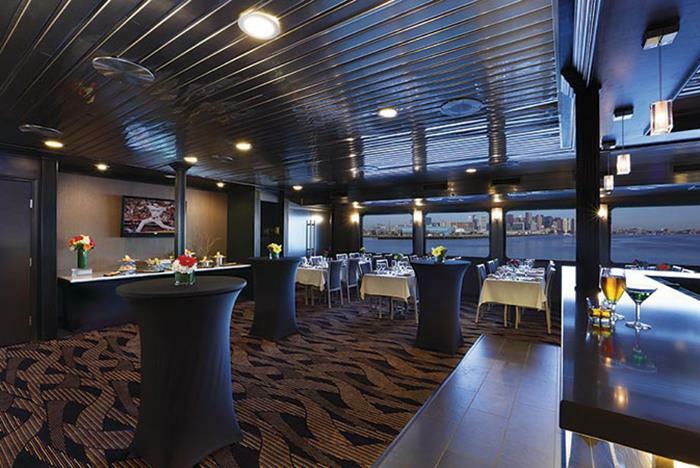 The ship has climate-controlled interior decks for year-round cruising. Experience fine dining with the buffet-style meals on board. 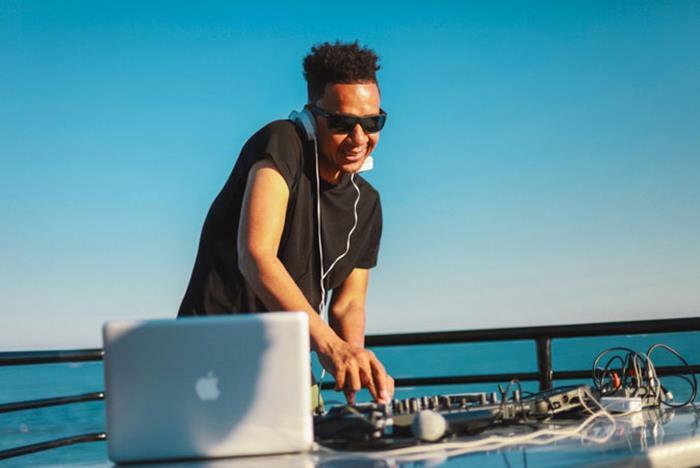 Stay entertained with the dance floor and live DJ. 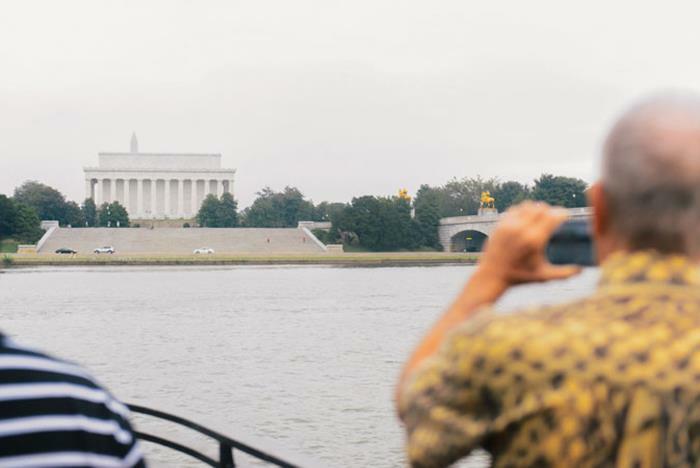 Bring your camera to take pictures of landmarks, the skyline, and more as you cruise by. 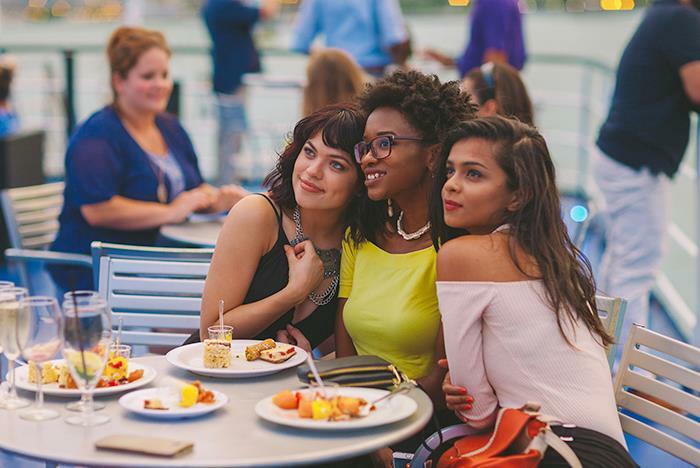 With the sunshine reflecting off the Potomac, there’s no better place to enjoy in Washington, D.C. than aboard a Spirit Cruise. 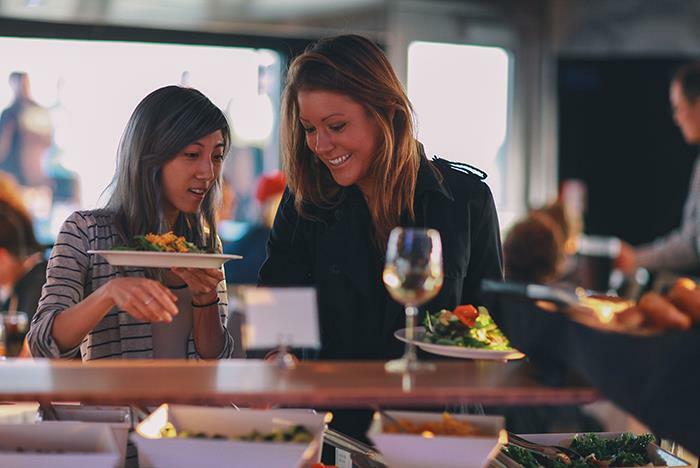 Treat yourself to an onboard historical tour of some of the most iconic landmarks in the country like Old Town Alexandria, National Harbor and the Washington Monument, as you sample creative dishes from our buffet menu. Parking is limited, but we're accessible from the Waterfront Metro station (Green Line). 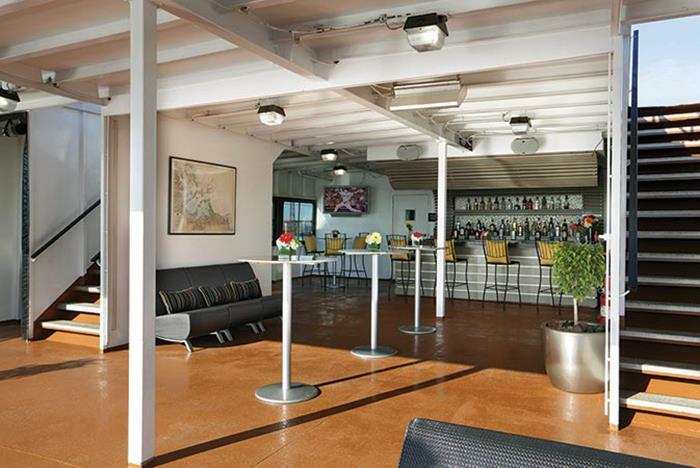 Our decks are climate-controlled to cruise year-round in all weather conditions. Most guests choose comfortable, casually stylish attire. Children are welcome and infants under three cruise free. We do our best to accommodate dietary restrictions. Please let your server know if you have any serious food allergies. 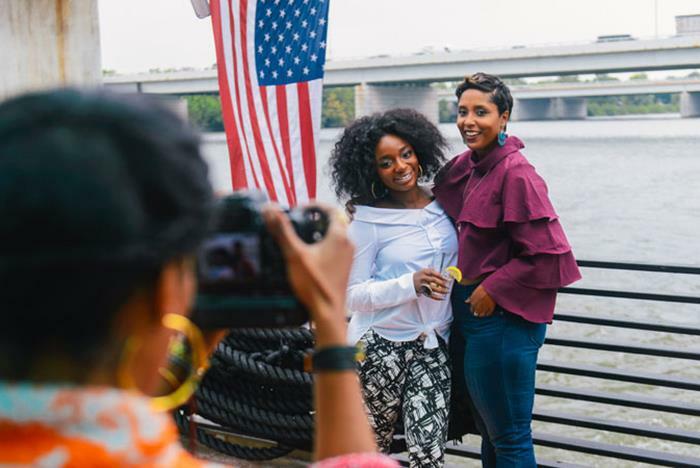 Have you been to Spirit of Washington DC? Share your knowledge and be the first to review this. If you've been on this type of cruise ship, you can appreciate the lack of serious comfort or amenities. The boarding took close to an hour for all three levels to be completed. The outside had shown serious sign of poor care and attention to detail. Once underway, the food prep was completed and the serving for dinner began. One of the servers dropped the serving spoon and picked it up, wiped it and placed it back atop the broccoli. The music was "hip-hop" although on the first deck the ~150 passengers were older and not used to this style of music. However, since the completed crew were of Afro-American decent, this was the choice of music. The dance floor had a a few takers, provided you could line dance to hip hop, or get down and twerp. Cash bar, a Scotch (J/W black) and water $10.00. Not a repeat! 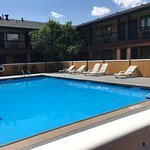 "Great however the AC is BROKEN on our deck so ASK first. They wont offer you anything to make up for it except sorry." This was our first experience..it was our 1 year wedding anniversary and a birthday gift lunch cruise aboard the spirit....and probably last time. Management email reply was sorry..not sorry. People...it was Hotter than heck on lower deck..no joke. Not an exaggeration. If you like to sweat while you eat great. The level one floor up we checked out on our way to the top level for air. That level had great air and very comfortable. Wish we could have had that. Everything else was great except for the air. If you want a good seat (head of the boat section has bench/cushy seats along perimeter) book early and be prepared to pay alot for it...premium.. well over 200 for 2 people..more like 300. Pretty misleading when advertising the price. I'd rather be served in a nice restaurant and pay for a private charter elsewhere. Since this boat also has weekday cruises I have to wonder how long the air was BROKEN? for a while and they are just taking our money until someone complains enough and they are forced to fix it?? Wonder how up to snuff ther other standards are? Any hidden health code violations? What else might one find if we look closer? Lesson learned. My husband took us to Ruths Chris on the actual wedding anniversary and it was outstanding!! I know where were going next year!! We couldn't have asked for a nicer team - they were so attentive and treated us so well for our anniversary treat with a card, rose petals and special chocolate cake too!! The DJ - Rob - certainly kept the guests busy on the dance floor which we weren't expecting for a lunch trip but it added to the memory. It wasn't exactly what we expected and we didn't get to see as many sites as I was hoping for along the way but a very pleasant way to spend a couple of hours. "A Delightful Day Cruising to Mount Vernon"
We enjoyed a wonderful cruise to Mount Vernon on the “Spirit of Mount Vernon” the Sunday after Cherry Blossom Week. It was not as crowded as I had anticipated after a previous crazy day in D.C. The vessel was huge and not even a fraction at capacity. We started on the main level as we boarded. Breakfast was available (buffet style) at an extra cost. We had already enjoyed yogurt and coffee at Starbucks as we knew not too many healthy options would be aboard. As soon as the cruise was underway, we went to the deck of the ship, even though chilly, for a birds eye view, and photos. We particularly enjoyed the narrative provided of sights along the way!!! After an hour and a half (which seemed much shorter), we arrived at Mount Vernon. They hand you your timed “Mansion Entry Ticket” as you exit the boat. It’s a quick, short (uphill) walk to the main property. After a wonderful 3 hours at Mount Vernon, we boarded and headed home. It was sunny and warm for the return trip, so we grabbed seats on the deck. We had a fruit cup and a few cocktails as we gently cruised down the Potomac reflecting on what we had seen as well as the greatness of George Washington. It was a fabulous day and of all the ways to travel to Mount Vernon from D.C. without a car, this is by far the best option, both economically and enjoyably. Are children allowed on the cruise? Yes. Children are welcome on board. Children under the age of 3 can cruise for free. Does the cruise require a dress code? Yes. For men, appropriate attire includes slacks and a polo or button-down shirt. For women, nice pants or a dress is recommended. Designer jeans are also acceptable. Although allowed, we strongly discourage t-shirts, casual jeans, shorts, and sneakers. The cruise is approximately 2 hours. 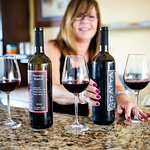 Does the cruise have a bar? Yes. 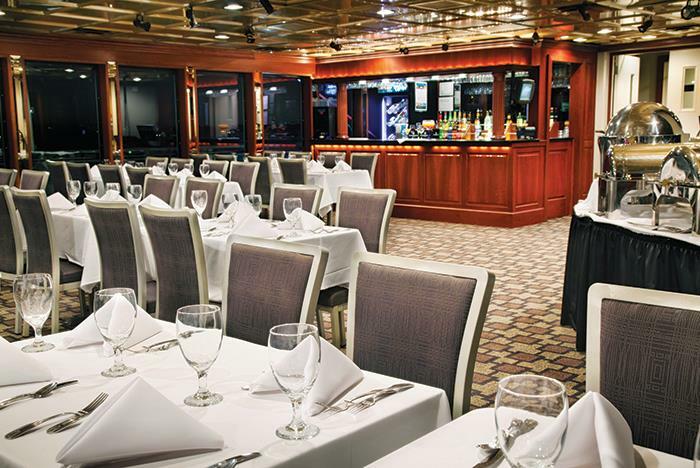 A cash bar is available onboard and serves cocktails, wine, and beer. Unlimited coffee, tea, and water are also offered. Parking is limited at the Gangplank Marina off Water Street. Several metered lots are available nearby. In addition, the cruise ship is easily accessible via the Waterfront Metro station (Green Line). Can the staff accommodate my dietary restriction? Vegetarian menu options are available. While we offer gluten and allergy free products and gluten sensitive menu items, we openly handle several allergens throughout our galleys. While we take precautions to keep ingredients separate, we cannot guarantee a gluten-free environment. We do not have separate prep surfaces, cooktops or equipment. Our chefs prepare and cook in common areas with shared equipment, therefore the items may come in contact with other food products. Yes. The Spirit of Washington has one deck and restrooms that can accommodate most standard-sized wheelchairs. Our crew is happy to aid passengers who need assistance. 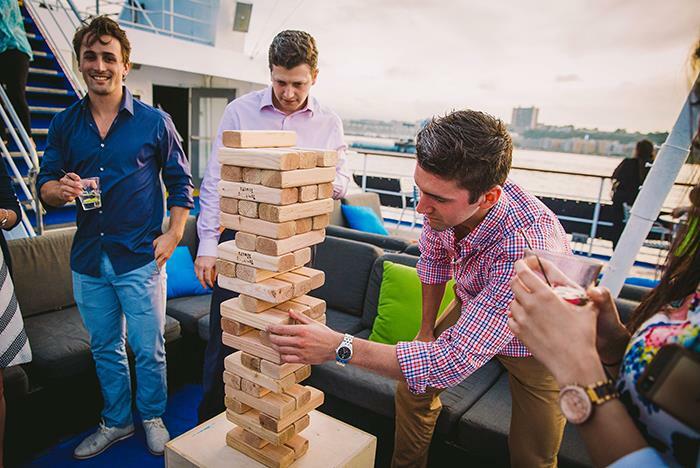 Guests are more than welcome to bring their own camera for personal pictures aboard the ship. Smoking is allowed on the observation deck.